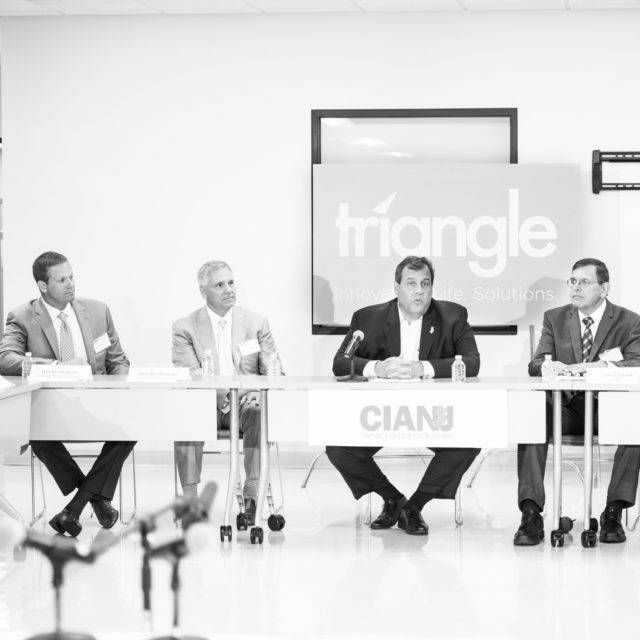 Triangle hosted a Q&A discussion with The Commerce and Industry Association of New Jersey (CIANJ) featuring New Jersey Governor, Chris Christie. 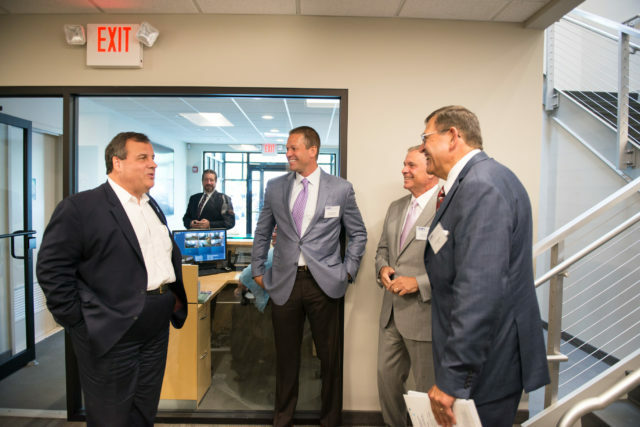 Governor Christie was happy to meet our associates as they enthusiastically greeted him throughout the building. He was taken on a personal tour of our manufacturing facility by CEO, Neal Strohmeyer and President, Dax Strohmeyer. The Governor was able to see one of Triangle’s state of the art inspection labs and various production machining centers before the discussion began. Local politicians in attendance included Joanne Minichetti, Mayor of Upper Saddle River and NJ Assemblywoman Holly Schepisi. The CIANJ members attending the discussion represented several areas of industry including Manufacturing, Accounting, Insurance and Education. All attendees were given the opportunity to ask Governor Christie questions about how his plans for the Fairness Formula and Transportation Trust will affect businesses and education throughout New Jersey.